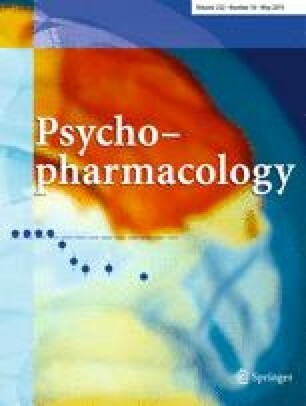 Current evidence suggests that pharmacological manipulation around 12 h after training alters the persistence of long-term memory. However, no study has addressed whether opioids modulate the persistence of fear. The current study examined whether morphine alters the persistence of the memory of contextual fear conditioning. Male adult Wistar rats were injected with saline (NaCl 0.9 %, intraperitoneally (i.p.)) or morphine (3 and/or 10 mg/kg, i.p.) 6, 9, 12, or 24 h post-training and tested 2 or 7 days after training, when freezing responses were assessed. The involvement of state dependence and opioid receptors in the effect of morphine was investigated by respectively injecting naloxone (1 mg/kg, i.p.) 30 min before morphine, and morphine (10 mg/kg, i.p.) 30 min before testing. Morphine (10 mg/kg, i.p., 12 h post-training) did not alter freezing to context in animals tested 2 days after training but impaired freezing to context when testing was carried out 7 or 14 days after training. Morphine (10 mg/kg, i.p.) administration 6, 9, or 24 h post-training did not alter freezing measured 2 or 7 days after training. Pre-test morphine improved recall but did not alter the deleterious effect of 12 h post-training morphine. The deleterious effect of morphine was prevented by naloxone, indicating that opioid receptors are involved in this effect. Our findings indicate an inhibitory role for opioid receptors in memory persistence. This is relevant from both the experimental and clinical point of views, since it may have implications for the prevention of post-traumatic stress disorder (PTSD). Gerusa Paz Porto and Laura Hautrive Milanesi contributed equally to this work. This work was supported by grants from CAPES, CNPq, and FAPERGS, Brazil. CFM and MAR are recipients of CNPq productivity fellowships. LHM is the recipient of a PIBIC/CNPq/UFSM fellowship.